Hog Island, which was also known as The Island or Osage Island, was approximately 3 miles long and up to 1 mile wide. The island was formed when the Marais des Cygnes River shifted her course from the southern portion of her flood plain to the north, probably as the result of a large flood event. Hog Island was a Bushwhacker lair and headquarters for confederate operations in west-central Missouri. 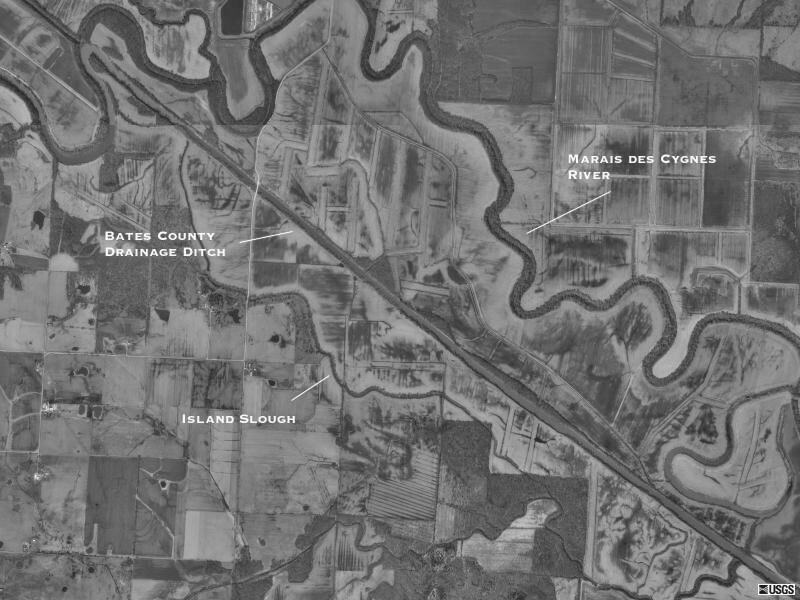 Although all but erased from the map when the Bates County Drainage Ditch was dug at the beginning of the 20th Century, the outline of the island can still be traced today, as the above image attests.